This first Open Call was a great success: As Agile’s first open call for projects came to an end, 56 companies from all over Europe submitted their ideas to our open call. After a rigorous selection process, 8 companies were selected as the best fit to continue their project with the Agile IoT Gateway. Over the first 6 months of 2018, the 8 selected companies will continue to integrate the Agile IoT gateway into their products. Keep reading below for more information on the exciting ways in which the 8 projects will work with us on extending the Agile IoT gateway into their project. We are web analytics for indoor spaces. ThinkIN provides means to improve the efficiency of business processes running indoor by digitizing the location of assets and workers. We make an indoor environment smart, where movements of people and assets are (i) monitored in real-time, (ii) analysed using scalable IoT analytics, (iii) transformed with cutting edge AI into actionable KPIs and (iv) used to recommend interventions for optimising the efficiency of processes and for enhancing customers experience. We are targeting the retail and industrial IoT market sectors, with paying customers in Italy, Europe and US. ThinkIN flagship product is called RetailerIN (www.retailerin.com), an in-store analytics platform able to leverage IoT devices and big data analytics capabilities to measure in-store shoppers’ behavior, while supporting the delivery of personalized, situation-aware digital contents and services to enhance the shopping experience. In the Flamingo project, we will integrate the Agile gateway into RetailerIN, in order to properly orchestrate the many IoT sensors deployed in a modern brick and modern retailer. This will allow us to (i) take advantage of the edge computation capabilities provided by Agile to improve support for real-time services, (ii) to reduce data communications to the cloud backend, while at the same time ensuring compliance with privacy regulations, and (iii) to easily integrate and manage a richer set IoT devices and sensors. The resulting Agile-empowered RetailerIN solution will be piloted for a period of 2 months in 4 stores of a retail chain operating in Italy. ModoSmart is a Spanish startup funded two years ago with the aim to develop IoT devices and vertical solutions for energy saving in homes and buildings. The company develops connected objects and solutions for monitoring and control. The value proposition of the company is to bring plug-and-play IoT solutions in vertical sectors which use smart home technologies for energy saving and comfort, such as touristic properties and offices. The company has large expertise in embedded system design and development and on IoT system integration. Modosmart has developed ELIO, a solution for energy saving in vacation rental properties. ELIO is an IoT solution which drastically reduces the energy expenses thanks to the use of presence detection technology and on the automation of air-conditioning and heating. The ELIO solution developed by Modosmart is in pre-commercial phase, meaning that devices and app have been prototyped, tested and validated with early adopters. Sensors and actuators are advanced prototypes which can soon be commercialized, while the gateway is not yet advanced and ready for market. It is based on a very simple stack implementation which still requires to address critical issues such as security, privacy, remote management, data analytics and a robust API towards the cloud and towards the devices. The objective of this project is to integrate the Agile IoT gateway into the ELIO solution so that to accelerate the commercialization of the solution and to have a robust and flexible gateway which can easily be extended in the future with extra functionalities. ModoSmart will extend the Agile IoT stack with the extra modules needed for the integration on the device side as well as on the cloud/app side. Adele Robots is an Artificial Intelligence and Social Robotics company focused on enhancing the interaction between humans and machines. We intend to use Agile IoT stack to evolve one of our educational robots, NEXT, to a cloud-connected robot, so toddlers will be able to interact with it through voice and take advantage of our powerful AI platform, FIONA (www.sparkingtogether.com) to create customized learning paths for children. Holonix is a spin-off of Milan Polytechnic University, established in 2010 after years of research at national and international level. Our staff comprises researchers, graduate students, engineers and Lean managers with consolidated experience and professionalism, a young-minded, dynamic and highly motivated team that offers its know-how and skills acquired over the years in the Internet of Things sector to a wide range of partners and clients. AgriAware is a unique system made up of core logic, web interfaces and two different apps, TrustLabel and FarmerAssistant, respectively for consumers and for farmers, to produce high quality and biological food and to sell it into the market. AgriAware borns with the goal to give farmers information about correct procedures for a production of high quality and certified products and to make end-users more aware and informed about organoleptic and nutritional properties of food they buy. Through AgriAware, farmers can constantly monitor environmental conditions as temperature, humidity, wind, etc. The best moment in which they can pick the products (olives, grapes, fruits) is suggested and, consequently, they can book in advance the process industry (e.g. mill) and organize the proper logistic. Activities are planned more efficiently, synergies between farmers and process operators are setting up and the products’ logistic chain is improved. Moreover, consumers know the source of the raw material and the quality of the production process, they have the chance to know how the content of the specific bottle/jar has been produced, tracking the supply production chain from the tree to the bottle/jar, from the fruit picking to the final production and packaging. They can discover how and when the product has been produced, from which zone, from which type of tree, in which conditions. Consumers can also give feedback on the quality of the product and about its final price. 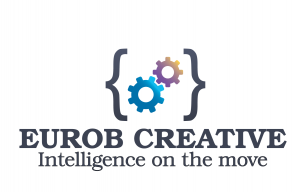 EUROB CREATIVE is a high-tech company focused on innovation in three lines of business: m-Health, m-commerce, and hypermedia. Since 2014, its flagship InCT Together Platform has undergone several thorough developments and innovation cycles and was officially launched this summer (featuring more than 10,000 downloads at the Google Play store already). to allow family members to monitor the safety and well-being of their elderly relatives remotely without disrupting their daily life. The solution will consist of a smart wristband, additional smart sensors and an AGILE-IoT based node that will provide real-time data about the geo-location, heart rate and regular activity of the elderly person. These data will be stored in a cloud-based system for historical processing and emergency detection. Using AGILE technologies, the solution will offer end-to-end privacy and security control. To adapt the solutions to the fish farmers, the end users, the solutions need to be powerful but easy to deploy and this is what Agile-IoT will contribute to. Ex Machina delivers rapid IoT industrial solutions, focused on predictive analytics for weather sensitive resources (e.g. energy sector). Within the scope of this project, our IoT PaaS, which is built on top of cutting-edge open source technologies, will be enriched at the gateway level with the Agile IoT technologies; thus empowering our end-to-end turnkey solutions with maximum flexibility and better remote management of sensor hardware. Pilot Things is available on Microsoft Azure Marketplace and OVH. The major cities in the worlds that aim to become smart cities have dressed up a masterplan that include technical and functional aspects. One common need is to build a common network infrastructure to support all kind of sensors. We strongly believe that Agile IoT gateway objectives of openness, versatility and strong community are key for city prototyping new innovative solutions. Agile IoT hardware gateway + Pilot Things smart network + oneM2M standard will together form the Open Street Gateway (OSG) solution. This gateway will be used to connect any sensor in the street like street lighting, parking sensors, presence detectors…in an effective, easy and affordable way. Posted in Community, Open Calls. ← Get your own AGILE Gateway!